Embed code for a live stream is available when the stream is in either Preparing or Live Now states. Scheduled stream goes to preparing state at the set Event Notification time. By default event notification is sent 15 minutes before going live. This time can be changed while scheduling the stream, from Advanced Settings in new stream section. 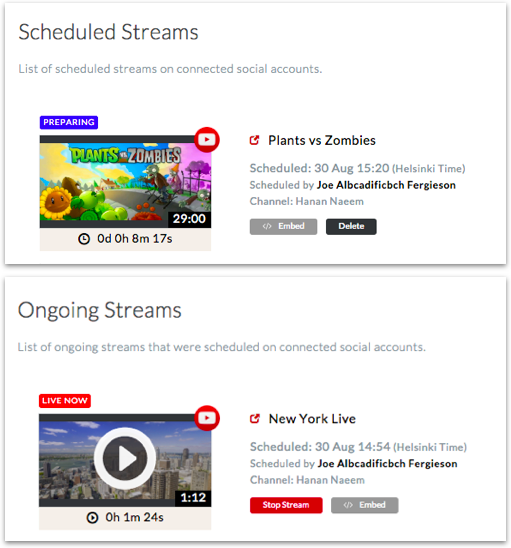 At the scheduled time, the stream will go live on your chosen social accounts and the state will change to Live Now. 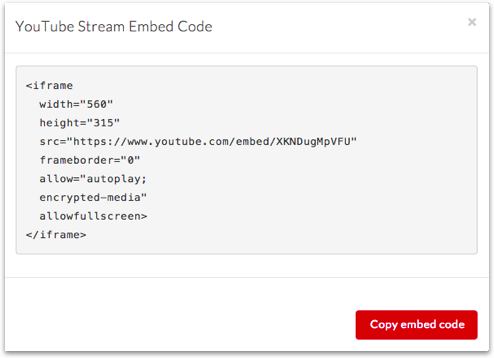 Embed code can be fetched for YouTube & Facebook while the stream is in Preparing or Live State. Simply click the Embed button and copy the code. How to set event notifications?